Real Life Christian Academy has been making a difference in the lives of children for more than 35 years. It all began when parents from First Christian Church of Clermont wanted to provide a safe, biblically-based, quality educational environment for their children. Through their commitment, the school was founded in 1982 as First Christian Church School with six students meeting in the former church location on Hooks Street in Clermont. Serving students grades 1st-8th, a preschool and kindergarten were added in 1985. 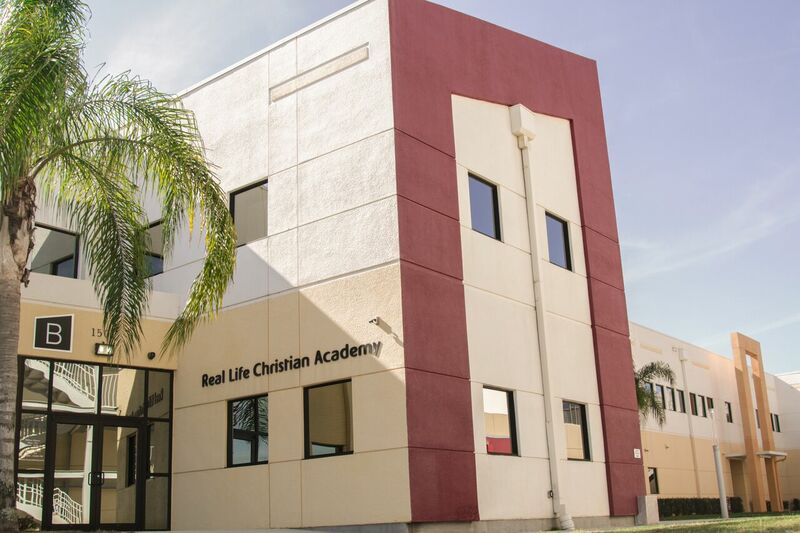 In 2002, the school changed its name from First Christian School to South Lake Christian Academy, and in 2006 became known as Real Life Christian Academy. This change reflects the commitment of Real Life Christian Church to private Christian education as part of its ministry. RLCA opened its new 42,000 square foot facility on the 22-acre campus on Steve's Road in Clermont in 2008. Student enrollment continued to increase, which prompted the addition of a high school program. The academy grew over the next few years and a thriving home school program was added. RLCA proudly continues the mission of providing students with an outstanding education in a wholesome environment that encourages and empowers students to discover their God-given potential, passionately pursue their dreams and change the world.